Do you remember Evanna Lynch aka Luna Lovegood, from the Harry Potter film series? Have you ever wondered what she is up to nowadays? 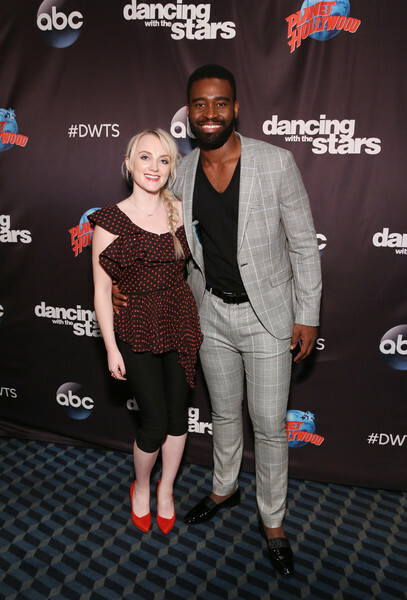 Evanna Lynch has been a part of DWTS since September 2018. She and her partner Keo Motsepe were known to create waves with their sterling dance performances. In fact, they were crowd favorites. Unluckily, the duo ended up as the second runner ups. But that’s not what we are focusing at. Emma Watson (Hermione Granger), Tom Felton (Draco Malfoy), Katie Leung (Cho Chang), Bonnie Wright (Ginny Weasley), Matthew Lewis (Neville Longbottom), James Phelps (Fred Weasley), all of them were present in the ABC studios to wish their pal some good luck for winning the top prize. Even the author of the Harry Potter books, J.K. Rowling herself sent the actress all the good luck charms and well wishes. What’s admirable is the fact that this cast has stayed in touch all these years later. In fact, one cannot help but mull the likeness of the situation to the dialogue between Snape and Dumbledore in Deathly Hallows 2 – After all this time? Always! It does hold true for this pack of buddies. They all exchanged pleasantries and were gushing after seeing each other after so many years. You can even see a video clipping of it. In fact, most of the cast is actually close in real life. In recent times, Felton caught up with Daniel Radcliffe during his play at the Broadway. Watson was also spotted skating with Felton in Venice. Hope their friendship continues to be as strong as ever, so that all the HP fans have sweet memories to cherish later in their lives.